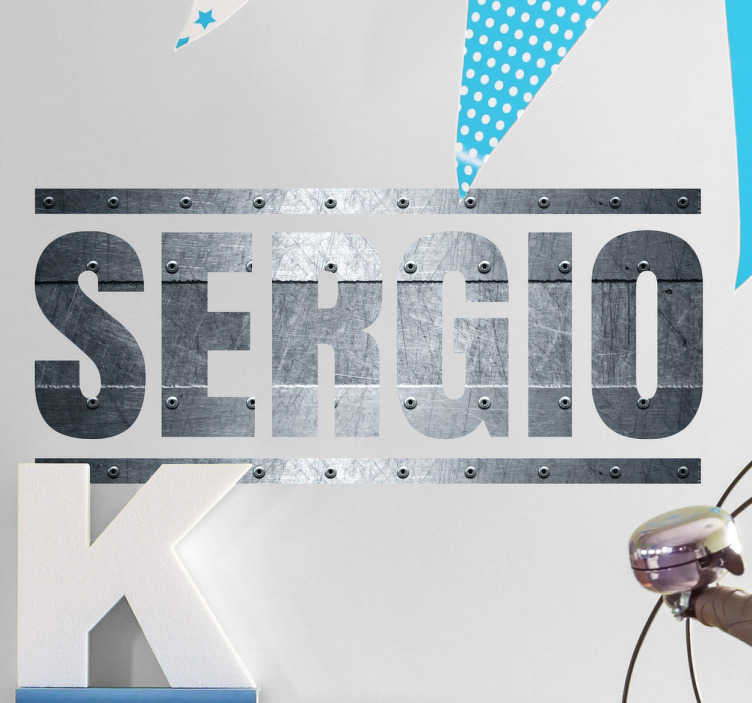 Awesome personalised text wall sticker showing a name of your choice written in a metal pattern font with steel effects, in this case "SERGIO". This amazing name decal is perfect for decorating a teenager's room in a way that feels unique and personal to them. The grey and silver lettering in this design make it stand out from the rest and give it a powerful aesthetic that you won't find anywhere else.